Nestled in the heart of Europe where Switzerland, Germany and France meet, Basel – just a 10-minute drive from Basel EuroAirport – is a pocket-sized metropolis that combines Swiss quality with a multicultural population. The 40 museums, all with long-established collections and spectacular exhibitions are the foundation of Basel’s reputation as a city of culture. However, art is not only found in the myriad of museums, but is encountered across the entire city. Exciting juxtapositions are cast by the classical patrician houses and mediaeval churches side by side with modern buildings designed by major international architects such as Herzog & de Meuron or Renzo Piano. Foodies will not be disappointed in Basel either. Thanks to the city’s location, its cuisine is both excellent and eclectic. From the sunny banks of the Rhine, to the romantic streets of the Old Town to the countless boulevard cafés and trendy bars – every taste is catered for. There is always something going on in Basel! 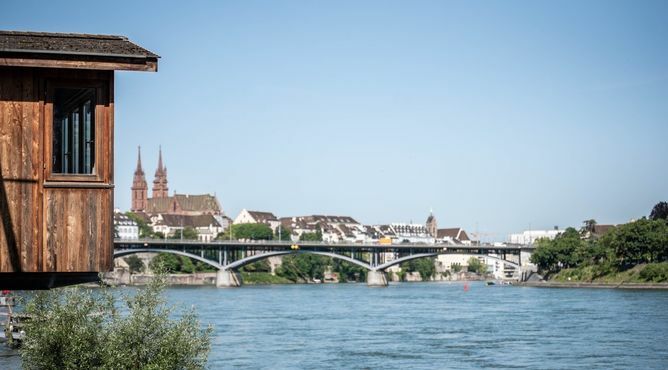 This summer visitors to Basel, Switzerland, will have the chance to stay overnight in a traditional Fisherman’s hut suspended high above the River Rhine. Until August, tourists can have exclusive overnight use of hut no. 47 in the attractive St. Alban district, surrounded by the old city walls and the impressive St. Alban Tor, one of the old city gates. Close by are culinary and historical highlights such as the Basel Paper Mill and the restaurant Le Rhin Bleu. 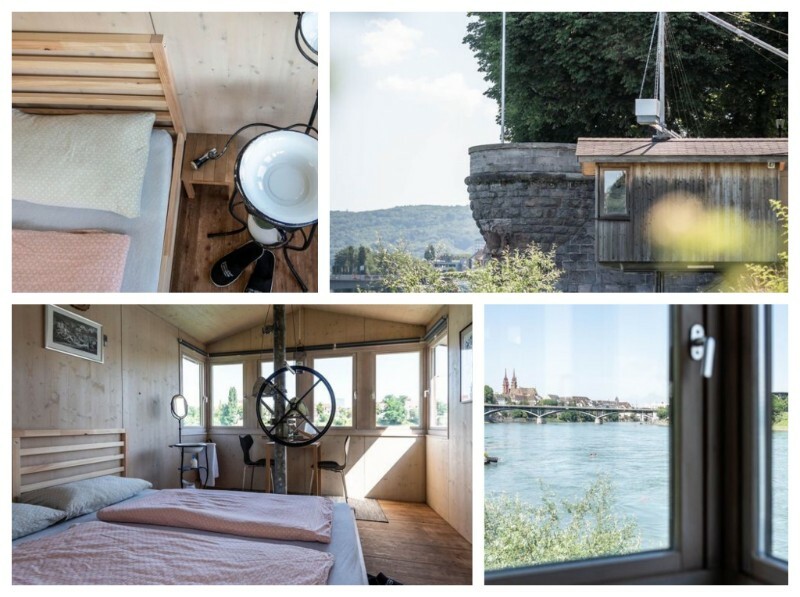 This is a unique accommodation opportunity as most of the fishing cabins on the banks of the Rhine in Basel are privately owned and not accessible to the public.This summer, however, visitors can sleep in one of the 14-square metre cabins, with the best views of life in the cultural capital of Switzerland. Sit back and unwind – with no electricity or running water – but with the luxury of being “offline by the Rhine”. The room is deliberately simple and cosy, with all amenities located close by. In addition, if you wish, an experienced fisherman will show you how to fish with “gallows” in the Rhine.